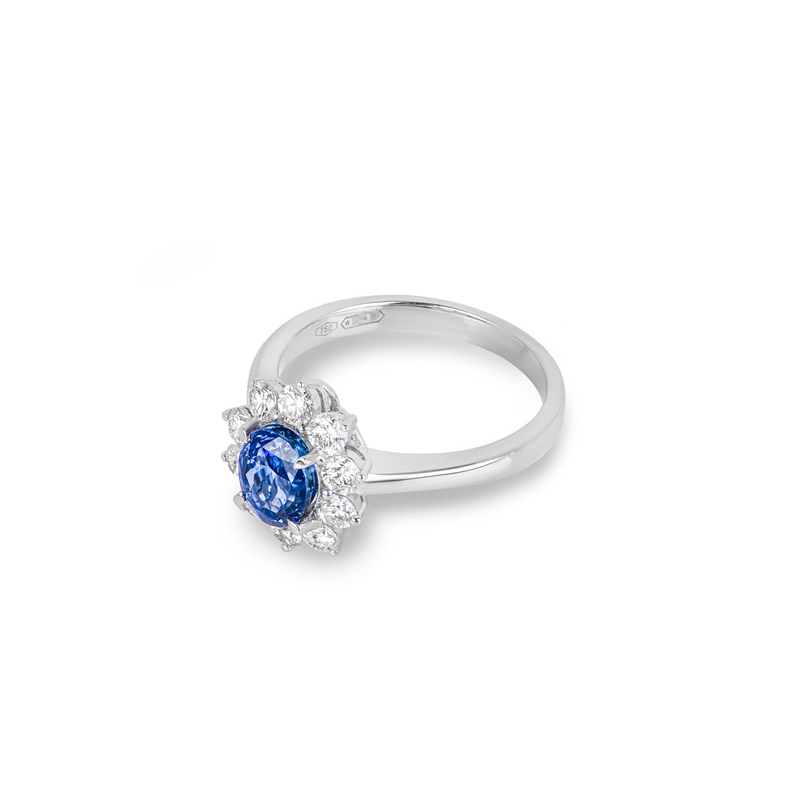 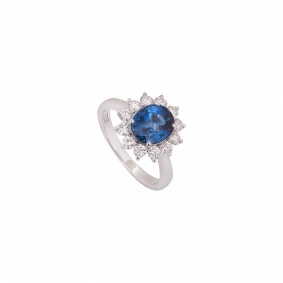 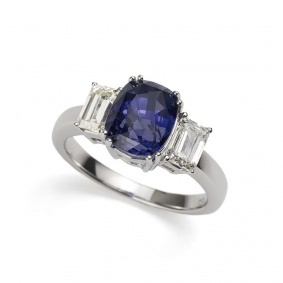 An 18k white gold sapphire and diamond ring. 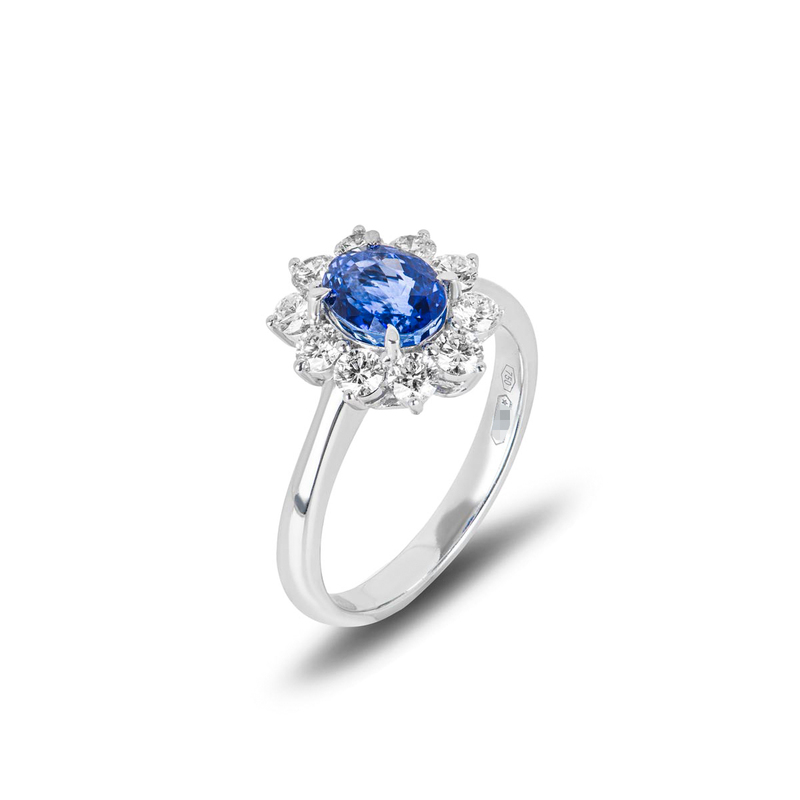 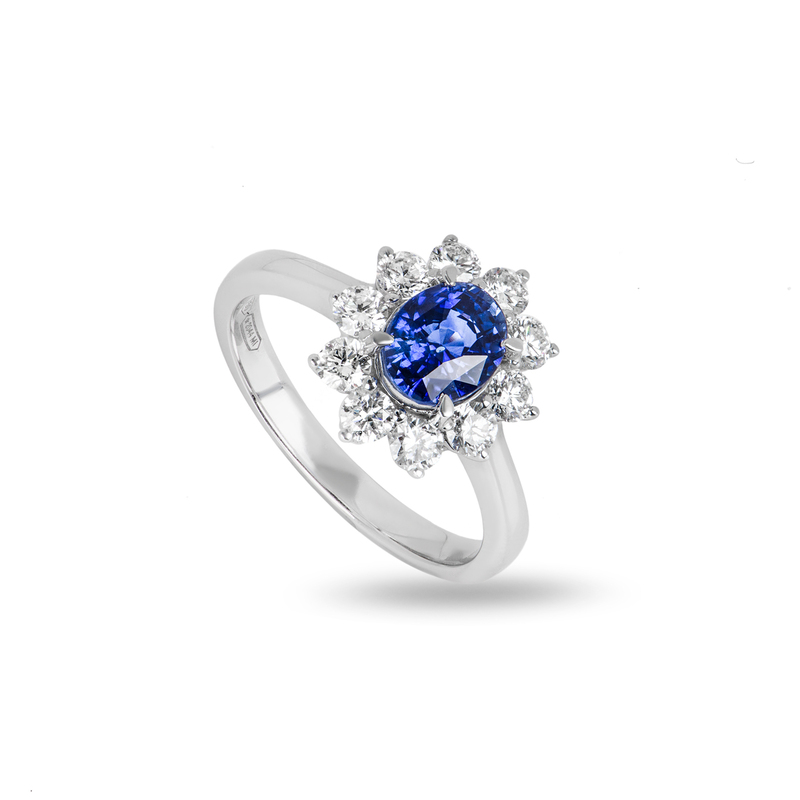 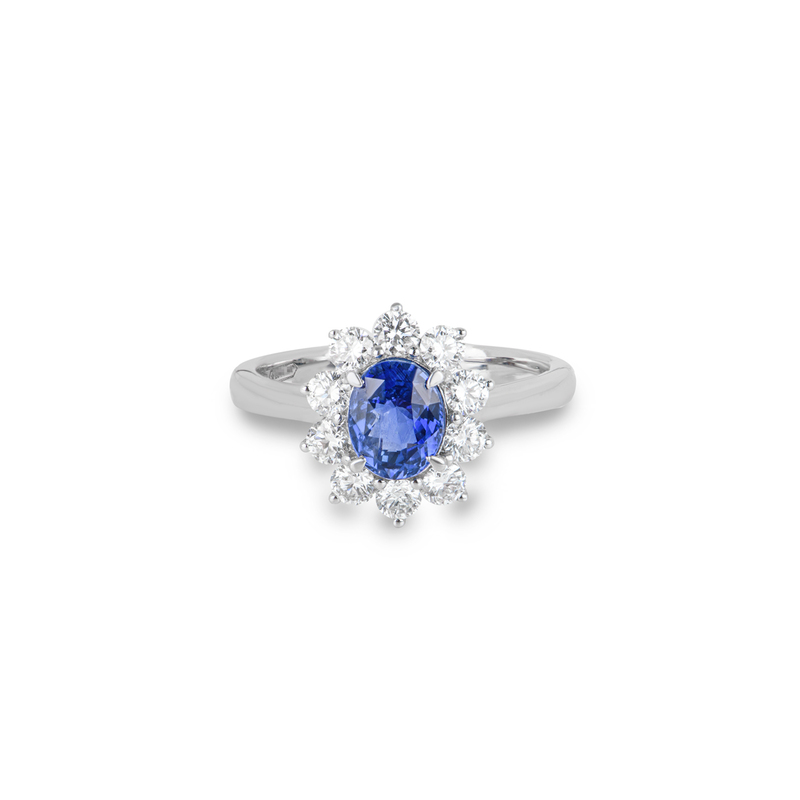 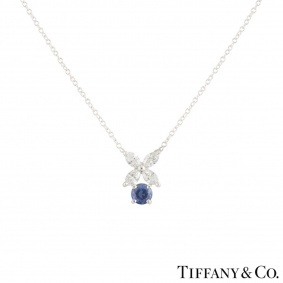 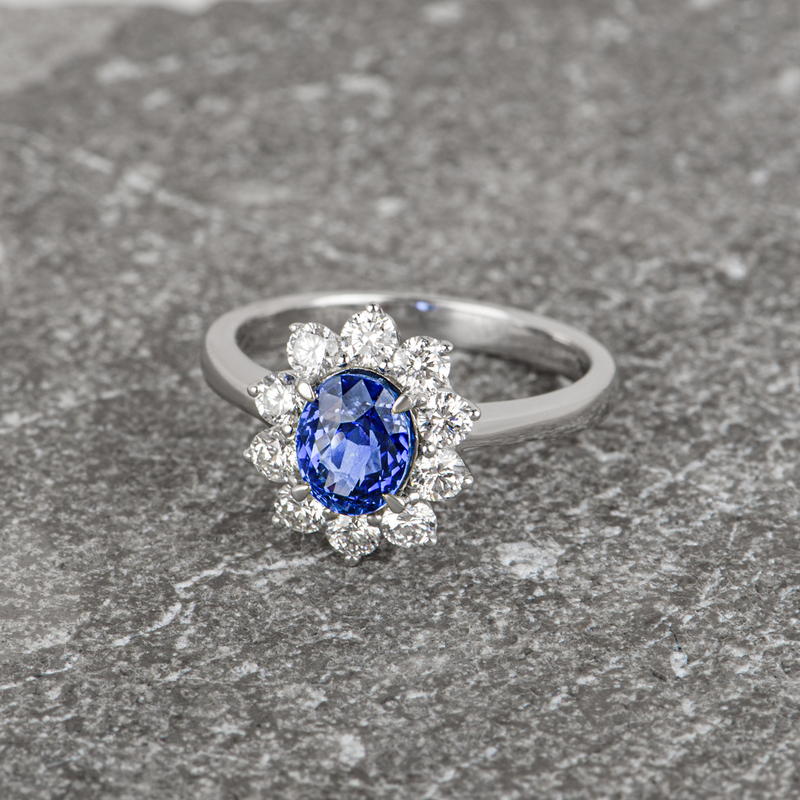 The ring is set to the centre with a 1.67ct oval cut sapphire, accentuated by a halo of 10 round brilliant cut diamonds totalling 0.72ct. 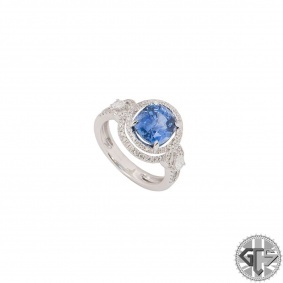 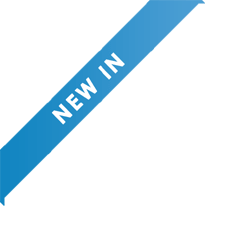 The ring is currently a size N but can be adjusted for a perfect fit and has a gross weight of 4.50 grams.